Why post these articles on “the Kingdom of the Divine Will?” After all, the Church is investigating the claims of Luisa Piccaretta. The reason I am doing so is because the proponents of these teachings I believe to be dangerous and that are leading to all sorts of grave errors in the thinking of too many of the Catholic Faithful, are presenting these teachings virtually unopposed all over the United States and beyond. I, as an apologist, get asked questions about Luisa Piccarreta’s writings from time to time and my normal course has been to encourage a “healthy skepticism” until such time that the Church decides on the matter. Meanwhile, the proponents of these alleged “revelations” from God encourage a “confident acceptance” of these teachings and lead people astray. Thus, I am now presenting Part II of my brother, Fr. Terry Staples’, two-part series on the Kingdom of the Divine Will. Both my brother and I are extremely skeptical of the veracity of “revelations” of Luisa Piccarretta. As we both continue to say, we submit all that we say and write to the authority of the Church. And because this alleged “revelation” is still under investigation, and there has not even yet been a definitive version (translation) of the “revelation” itself for us to critique, nothing we say can or should be taken as authoritative in any way. We have no such authority. But having said that, we do have a responsibility as Catholic Christians to defend the Catholic Faith (see I Peter 3:15). My brother in a particular way as a pastor of souls. In fact, his concern for Luisa Piccarreta’s writings began because parishioners at his parish asked him about it before he had ever even heard of them. That is what compelled him to study the works of Luisa Piccaretta to begin with. 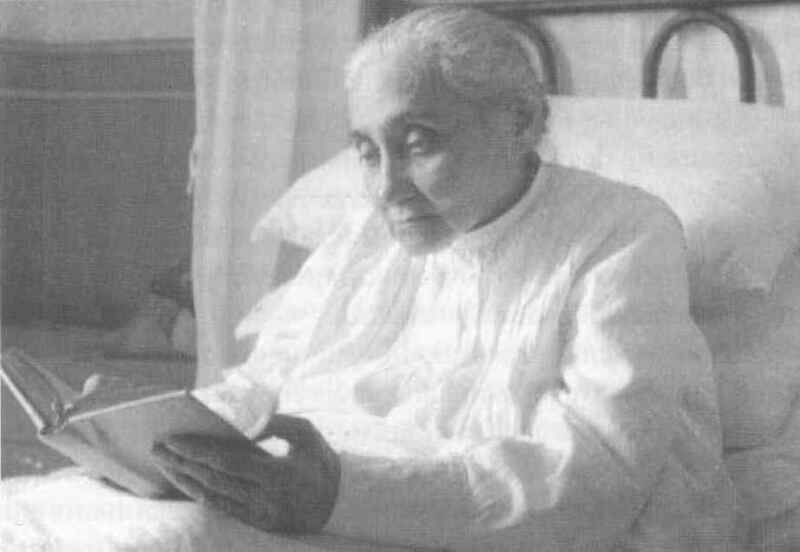 In the following pages, evidence will be given to demonstrate that the writings of Luisa Piccarreta contain many doctrines which are completely contrary to the Catholic faith which comes to us from the Apostles. It seems there are two principle errors from which many others flow. These two principle errors will be documented and some of the other errors will also be briefly mentioned. The first principle error in Luisa’s writings is that they clearly violate the Catholic notion of Divine Revelation. 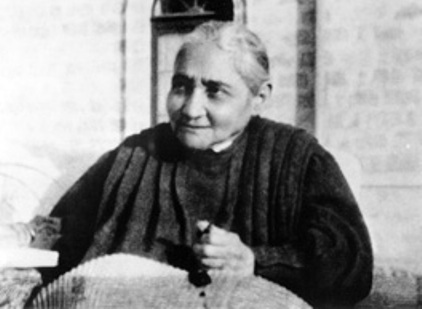 She clearly states that what she has received is a new revelation, never before communicated to the Church, which is necessary for all the faithful to adhere to and understand if they hope to attain to the new and higher level of beatitude which God desires for all his children and has made available solely through her writings. She claims to be the founder of a totally new dispensation, a new way of holiness, a new way of being united with God which has only been lived by three people before Luisa: Adam and Eve (before the Fall) and Mary. These “revelations” cannot be true because they contradict the Church’s teaching on the nature of divine revelation and the role of private revelation in the Church. The second principle error in Luisa’s writings pertain to her notion of how the human will is related to, and cooperates with, the divine will. Luisa clearly and repeatedly teaches that when one receives this new “Sacrament” of the Divine Will the human will ceases to function as such and the Divine Will acts in the creature in such a way that the action is purely divine. This notion has been condemned by the Church when dealing with the Christological heresy of monothelitism. Luisa’s writings clearly contradict these teachings of the Church. This contradiction can be seen in the following selections from her writings. The format used in this critique is as follows: first Her words are cited and numbered and a brief commentary follows. Comments: According to Luisa, the first two fiats were the creation and the fiat of Mary. This third fiat, made by Luisa, completes the work of creation and redemption. Here Luisa is claiming that via her ‘private revelation’ God is revealing to the entire Church the full meaning of creation and redemption. Furthermore, she is claiming that without her the redemption would remain incomplete!! According to Church teaching (cf. Above), Christ’s definitive revelation which He entrusted to the Apostles cannot be added to or surpassed. 2. Jesus to Luisa: “Now, daughter, you also [i.e. along with Mary] are unique in my Mind; and you will be unique in history. There will not be–either before or after you–any other creature for whom I will obligate through necessity the assistance of my Ministers…. How much attention is required from you and them. 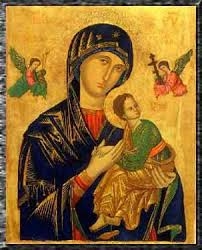 You, in receiving from Me, as a second mother, The Great Gift Of My Will and to know all Its qualities, and my ministers in receiving It from you To Fulfill In My Church The ‘Fiat Voluntas Tua’ in Heaven as It is on earth.” (p. 12, BH). Comments: Luisa is saying that the ministers of the Church must receive from her the message of the Divine Will in order to fulfill God’s plan. One cannot be obligated through necessity to follow a private revelation. 3. Luisa claims supremacy over all the Church. Jesus to Luisa: “Since my Mother was entrusted to Me and, being a Priest to Her, I entrusted to Her as a sanctuary all the laws, precepts and doctrines that the Church needed to possess. And, faithful as She was and zealous for even one of my words so they would not be lost, She deposited them in my faithful disciple, John. And for that reason my Mother has supremacy over all the Church. In the same way I have done this with you. Being necessary to serve the Fiat Voluntas Tua to all the Church, I have entrusted you to one of my ministers so that you might deposit in him everything I reveal to you about my Will: The Goods that it contains and how the creature should enter into it and how the paternal kindness wants to open another era of grace, putting the goods he possesses in heaven in common with the creature and restoring to man his lost happiness.” (p. 14 BH). Comments: Luisa is claiming to have received a new “deposit” of faith which parallels the revelation given to the Apostles. 4. Luisa: new way of union, new way of praying; Our Lord to Luisa, “…it is certain that I have called you first over other souls. Because to no other souls, however much I have loved them, have I shown How to live in my Will, The effects, the marvels, the riches that the creature receives who acts in my supreme will. Search the lives of the Saints as much as you wish or in books of doctrine and you will not find the wonders of My Will working in the creature and the creature acting in my will. The most you will find will be resignation, abandonment, the union of wills, but the divine will working in the creature and the creature in my will, you will not find this in anyone. This signifies that the time had not arrived in which my kindness would call the creature to live in such a sublime state. Moreover, even the way I ask you to pray is not found in any other…” (p. xix, BH). Comment: Notice here that Luisa does not claim that her teachings are in any way connected with the Tradition received. They are coming from outside what has been handed on. There is a genuine development of doctrine within the Church which is described in Dei Verbum, especially paragraph 8. This document says, “The Tradition that comes from the apostles makes progress in the Church, with the help of the Holy Spirit. There is a growth in insight into the realities and words that are being passed on.” Every legitimate development in the Church must be organically connected to the Tradition: it builds upon and deepens what is already present. Classically, legitimate development can be compared to the growth of a plant, e.g. Jesus compares the Kingdom to the growth of a mustard seed. Over the years it gradually expands and yet remains the same plant. Luisa’s new revelations are not, by her own admission, connected with the mind of the Church which is rooted in the Tradition. They cannot represent a genuine development of doctrine. Some will argue, “But Luisa’s writings fulfill the Lord’s prayer, doesn’t that imply they are rooted in the Tradition?” This begs the question. The question is, do her writings fulfill the Lord’s prayer? And, how do we know? We must interpret the Scriptures with the mind of the Church. We cannot base our interpretation on a private revelation. Vatican II teaches: “But since sacred Scripture must be read and interpreted with its divine authorship in mind, no less attention must be devoted to the content and unity of the whole of Scripture, taking into account the Tradition of the entire Church and the analogy of faith, if we are to derive their true meaning from the sacred texts” (DV #12). Luisa’s interpretation of the Lord’s prayer is completely novel by her own admission. She says, “It is true that ever since I came to the earth the Church prays the ‘Our Father’ which asks that my Kingdom come so that my Will be done on earth as It is in Heaven. But who thinks of what they are asking for? It can be said that all the importance of this request remained in my Will and that creatures pray it only to pray it, without really comprehending, nor having real interest in obtaining what they are asking for” (BH, p. 19). Luisa clearly states that the interpretation she is giving to the Our Father is without precedent and is not rooted in Tradition. Her teachings have not developed from the Tradition and are foreign to the analogy of faith. No teaching of the Church or interpretation of Scripture can be based solely on private revelation without reference to the living Tradition. Luisa teaches explicitly that her doctrine is not a development from Tradition but a new revelation. Therefore, her doctrine does not fulfill the Lord’s prayer according to Catholic interpretation. “The sanctity of the other virtues is quite known throughout the Church and whoever wants can imitate it. For that reason I am in no hurry to disseminate its knowledge. But the sanctity of living in My Will, its effects, the worth that it contains, the final touch that my creative hand will give the creature to make him similar to me is not yet known. This is why it is urgent that all I have said to you be known. And if you do not do this, you would, so to speak, restrict my Will and repress in Me the flames that consume Me and cause Me to delay the complete glory that creation owes Me.” (P. 2 BH). Comments: Clearly, Luisa is claiming that only through the revelations she has received can someone attain the knowledge necessary to reach the highest degree of sanctity. Without her writings, this knowledge is simply unknown to the Church. The Church teaches otherwise: “Everything we need for holiness and increase in faith has been handed on from the Apostles ‘once and for all’ (cf. Jude 3): What was handed on by the apostles comprises everything that serves to make the People of God live their lives in holiness and increase their faith.” DV 8. 6. Jesus to Luisa: “My daughter, my Will is the Sanctity of Sanctities. Therefore, the soul that does my Will according to the perfection that I teach you, that is, on earth as It is in Heaven, no matter how little, unknown, or ignorant she my be, she will surpass all the other Saints despite their prodigies, striking conversions and miracles. Moreover, the souls who do my Will, as in my Third ‘Fiat,’ are the queens; and all the others are as if they were at their service. The souls that do my Will in this manner appear as though they do nothing, yet they do everything. Because by remaining in my Will they act divinely, secretly and in a surpassing way. Such souls are the lights that illuminate, winds that purify, fire that burns, miracles that make miracles occur because it is in these souls that the power to perform them resides. Whereas those doing the miracles are only channels” (BH, p. 38). Comments: Luisa is very clear in saying that with her “Third Fiat” a new way of doing God’s will is opened to the Church. Her new way allows us to surpass all the other saints in holiness. Without this “revelation,” the teachings and Sacraments of the Church as they have come to us through Scripture and Tradition are inept to bring us to the level of sanctification God desires us to have. If we want to attain the highest levels of sanctity we must adhere to this private revelation. This is not Catholic teaching. 7. Jesus to Luisa: “With three FIAT’s I will complete the work of sanctification in man. . . . The generations will not cease until my Will reigns on earth. My Redemptive FIAT will interpose itself between the Creative FIAT and the Sanctifying FIAT. They will entwine, all three together, and bring to fulfillment the sanctification of man. The Third FIAT (i.e. Luisa’s) will give creatures such grace that they will return almost to their original state. Only when I have seen man as he emerged from Me, will my work be complete. Then will I enjoy perpetual repose in this, my last FIAT. Only the Life of my Will shall return man anew to his original state. Therefore, be attentive and together with Me, help Me accomplish the sanctification of creatures.” (P. 125, BH). Comments: Again Luisa claims that without this private revelation the redemption remains incomplete and we cannot understand the full meaning of creation. According to the Catechism of the Catholic Church, para. 67 cited above (p. 3, #4), even approved private revelations cannot add to the deposit of faith. Based on this fact, the following criteria for judging a private revelation can be given: the teaching given in any private revelation must be demonstrable from Scripture and Tradition apart from any reference to the private revelation itself. In other words, the deposit of faith, “everything we need for holiness and increase of faith,” can stand on its own without any private revelation; this is the teaching of the Church. Luisa’s revelations cannot be accepted because they attempt to add to the deposit of faith. Where in the Tradition, for example, do we have the teaching that a third Fiat would be necessary to bring our sanctification and redemption to completion? This is not only absent from the deposit of faith, it contradicts it! 8. Jesus to Luisa: “This is the Supreme Unity. There also exists the poor and lowly union in which the soul is resigned to my Will. Yes, but such a soul does not see my dispositions as her own, as her life. Neither is she happy in my Will; nor does she lose her will in Mine. I see that one, yes; but she does not manage to enamor Me. Nor does she cause Me to become enchanted with love for her, as happens with the one who lives in the Supreme Unity.” (BH, p. 38). Comments: Luisa claims that Jesus has revealed to her a new way of achieving “Supreme Unity” with God. All the saints that lived before she made her “Third Fiat” could only achieve “the poor and lowly union in which the soul is resigned to my [God’s] Will.” Thus, St. Joseph, St. Francis, St. John of the Cross, etc…, only achieved a “poor and lowly union” with God; whereas, through Luisa’s “Fiat” and through her writings, those who are alive today can achieve a much more sublime “Supreme Unity” with God. This teaching obviously does not come to us from the Apostles. St. Thomas Aquinas accurately portrays the Tradition with respect to the possibility of the coming of a “new era” before the Second Coming. He says, “there is a threefold state of mankind; the first was under the Old Law; the second is that of the New Law; the third will take place not in this life, but in heaven.” Furthermore, he says, “we are not to look forward to a state wherein man is to possess the grace of the Holy Ghost more perfectly than he has possessed it hitherto, especially the apostles who ‘received the firstfruits of the Spirit, i.e. sooner and more abundantly than others . . .’” (Summa Theologiae, I-II, 106). 9. Jesus to Luisa: “…in my All-Seeingness I see that these writings will be for my church as a new sun that will rise in her midst. And men, attracted by its radiation light, will strive to transform themselves into this light to become spiritualized and divinized, thereby, renewing the Church, they shall transform the face of the earth.” (p. 3,4 BH). 10. Jesus to Luisa: “These revelations regarding my Volition will be as a balm to heal the wounds produced by the human will. Whoever has the benefit of this knowledge will feel the flow of a new life of light, of grace and of strength to fulfill my Will in everything…. My daughter, the Kingdom of my Will is invincible. In these writings I have placed superabundant light, grace and attraction to make my kingdom victorious. To the extent that these writings become known, they will wage a sweet battle against the human will and will win.” (P 16, BH). 11. Luisa to Jesus: “By living in this Divine Volition, the soul is clothed in a light similar to the light of the One in Whom she lives. And even in Heaven she will shine more brightly than the others and will be for the very Saints the cause of Greater glory.” (p. 23). “I [Luisa], upon hearing this, said to myself: ‘Soon He will say that his Will is more than Sacramental Communion Itself.” Then He immediately added: ‘Right! Right! Because Sacramental Communion lasts a few minutes. It is temporary. My Will, on the other hand, is perennial Communion…. That is why I want so badly for my creatures to take my Will. This is what matters most to Me, what interests Me most. And nothing else interests Me so much, not even the most holy things. Only when I obtain that the soul live on my Will do I feel triumphant, because in this is contained the greatest good there can be in Heaven and on earth.” (p. 36-37. BH). “With regard to the special revelations that have been made to the saints, belief in them is not required by the Church even when she approves them. . . . ‘It matters little’ (says Melchior Cano) ‘whether or not one believes in St. Bridget’s revelations or those of other saints, these things have nothing to do with faith’ (De locis theologicis, Book XII, ch. iii). “Benedict XIV is quite clear with regard to this question. ‘What is to be said of those private revelations which the Apostolic See has approved of, those of the Blessed Hildegard [which were approved in part by Eugene III], of St. Bridget [by Boniface IX], and of St. Catherine of Siena [by Gregory XI]? We have already said that those revelations, although approved of, ought not to, and cannot, receive from us any assent of Catholic, but only of human faith, according to the rules of prudence , according to which the aforesaid revelations are probable, and piously to be believed [probabiles et pie credibles]’ (De canon., Book III, ch. Liii, No. 15; Book II, ch. Xxxii, No. II. Eng. trans. : Benedict XIV on Heroic Virtue, Vol. III, ch. xiv). 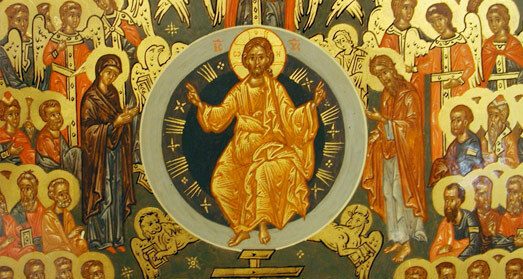 “Nevertheless the liturgy is the summit toward which the activity of the Church is directed; at the same time it is the font from which all her power flows. . . . From the liturgy, therefore, and especially from the Eucharist, as from a font, grace is poured forth upon us; and the sanctification of men in Christ and the glorification of God, to which all other activities of the Church are directed as toward their end, is achieved in the most efficacious possible way.” (SC, para. 10). Vatican Council II, Dogmatic Constitution on Divine Revelation (Dei Verbum), para. 4. The Catechism of the Catholic Church, # 67. Piccarreta, Luisa. When the Divine Will Reigns in Souls, Book of Heaven: A selection of Passages. The Luisa Piccarreta Center for the Divine Will. Jacksonville, FL. 1995. P. 119. First Vatican Council, Dogmatic Constitution on the Catholic Faith, c. 4: “[The true progress of knowledge, both natural and revealed]. For, the doctrine of faith which God revealed has not been handed down as a philosophic invention to the human mind to be perfected, but has been entrusted as a divine deposit to the Spouse of Christ, to be faithfully guarded and infallibly interpreted. Hence, also, that understanding of its sacred dogmas must be perpetually retained, which Holy Mother Church has once declared; and there must never be recession from that meaning under the specious name of a deeper understanding [can. 3]. “Therefore . . . let the understanding, the knowledge, and wisdom of individuals as of all, of one man as of the whole Church, grow and progress strongly with the passage of the ages and the centuries; but let it be solely in its own genus, namely in the same dogma, with the same sense and the same understanding.” (DS 1800). Pope John Paul II. Homily at Mass in Fatima May 13, 1982. Poulain, A., S.J., The Graces of Interior Prayer. B. Herder Book Co., St. Louis, MO., 1950. p. 320-321.